As a parent, I'm far more interested in children's programming than I ever thought or hoped I'd be. Beyond old Warner Bros. cartoons and Doctor Who, my tastes veer more towards classic Japanese film and football matches (the kind where they primarily use their feet) than large, purple, anthropomorphic dinosaurs, or animated fare that looks as though it were drawn by relatively untalented members of the audience (Think CatDog or The Fairly OddParents). Nonetheless, I am a parent, living in the good ole' U.S. of A. and there is a multiplicity of children's programming available here. No one short guide could hope to be comprehensive (or want to, unless brain damage is in fashion these days - and given Paris Hilton's celebrity, that might just be the case). However, I will try to hit the highs and lows for those looking for a short guide of what to seek out, and what to avoid like the Asian Bird Flu. I'll try to keep things brief and, where appropriate, brutal. Code Lyoko - Despite the name, this is French. Probably the finest French mix of traditional and computer animation ever. Make of that what you will. Cory in the House - A spinoff of That's So Raven (see below). The overriding question that comes to mind when viewing this is, "Why?" There is no satisfactory answer. Drake and Josh - For those who dream of seeing Abbott and Costello as teens, before they worked out all their complex timing and knocked the most annoying qualities out of their personalities. Beyond that, nothing of value can be found. Ed, Edd, and Eddy - A creative as the title. The animation looks as though it were done in the back of a coach bus after a pub crawl. The Fairly OddParents - Make it stop! Please, make it stop! The Littlest Fando loves this show though, so it may be a matter of taste. Foster's Home for Imaginary Friends - Truly creative and whimscial, with the best theme music on kids' telly. There's no punch line. I actually like this one. Hannah Montana - Who knew Billy Ray Cyrus had a knack for comedy? I mean besides Achy Breaky Heart? The kids are fairly good as well, though the little one is annoying (Rico, not Hannah's brother, who is 30-ish in real life). iCarly - From the people who brought you Drake and Josh. For what it's worth, this show is a bit better. I realise that's a bit like saying Latoya is saner than Michael, but we're really getting into Tito territory here. Kim Possible - Kim is cute and athletic and "all that," but Ron is the funny one ("Monkey!") and the villians, particularly Señor Señor (voiced by the redoubtable Ricardo Montalban) are great fun. Life with Derek - This would be somewhat tolerable if not for two things: An unpleasant title character, and an electric guitar score from hell. Imagine trombones doing the cliched' comedy "waaah-wah-wah!" Now imagine an electric guitar. Now seek intensive therapy. Martin Mysteries - It looks and feels like a Japanese anime poorly dubbed and with dialogue only vaguely resembling the original. Peculiar but not totally unpleasant, like generic chicken ramen. My Life as a Teenage Robot - Decent and likeable. One does wonder how teen girls can really relate to a soulless machine who doesn't have to face puberty, but perhaps I'm quibbling. Naruto - Never seen it. Seems to have an online following of frighteningly obsessive ex-Pokemon geeks. Ned's Declassified School Survival Guide - You've got to love a kids programme who can point to Python and the Marx Bros. for influences. Top notch, if a bit over the top on occasion. The Replacements - Kids replace adults with comical, exciting versions. Yawn. The Secret Show - A show willing to be silly. My family's favourite part - the secret name the leader gets every day - things like "Fluffy Big Britches," and "Frannie Poopsie Poo." Watch for the bunnies. 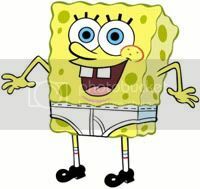 SpongeBob SquarePants - One of the funniest kids' programmes on television, this is good fun for the whole family, SpongeBob's penchant for appearing in various states of anthropomorphic sponge-undress, notwithstanding. Patrick is the younger generation's Homer Simpson, which is high praise indeed. The Suite Life of Zack and Cody - A big garish mess of a show. A little too self-satisfied but with the occasional flourish that makes you say, "I didn't hate that." That's So Raven - Imagine I Love Lucy, if Lucy were a psychic and mugged like Bill Cosby at the beginning of The Cosby Show. The only thing missing is Ricky and I don't blame him a bit. Totally Spies - Made by the same lot as Martin Mysteries, this is for fans of manga who thrill to the idea of cartoon young women in bathing suits and skin-tight action wear. The plots vary from non-existent to barely noticeable. Zoey 101 - Interesting, if only for promoting the conclusion that at least one member of the Spears household is sane. (Star Jaime Lynn Spears is Britney's little sister.) Beyond that doozy, fairly predictable. Update: Given the news that Jaime Lynn is now pregnant at 16, I think the above can safely be discarded. At least we're pretty sure the father isn't anyone on else on the programme. That's something. The Spears family needs a great deal of help though - the kind involving lying on the couch or sitting in the vicar's office for tea.